Ski on a fine day in Val Thorens, and you’ll really feel you’re on top of the world. Not only is it the highest resort in the Three Valleys, it’s the highest in Europe. The panoramas from up here are dramatic, and because of its altitude, the snow is more reliable than all other resorts in the region. 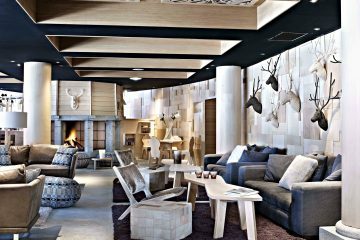 Val Thorens’ renaissance into a sophisticated resort is now well-documented. Way above the tree line, its 140km of pistes have something for everyone – gentle sweeping greens and blues for beginners, lots of technical reds and some challenging blacks. And if you have the time and stamina, it’s also possible to ski into the “fourth” valley – the Maurienne, and over to the quieter slopes of Les Menuires. Lunch is often less expensive here than in its sister resorts, whilst La Folie Douce is conveniently located on your way back to Méribel.